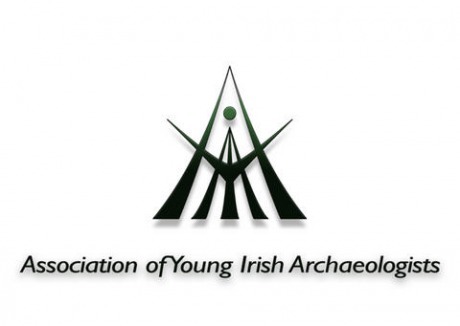 The Association of Young Irish Archaeologists (AYIA) is holding their annual archaeology conference in the university from 8 to 10 March. This conference is open to all, and is free to attend. The keynote address on the Friday night will be made by Professor Charlotte Damm, head of the Archaeology Department in NUI Galway. Her lecture is titled ‘Getting at prehistoric religion: Ritual practice and sensory archaeology’. This will take place at 7pm in lecture theatre IT250 and will be followed by a wine reception at 8pm. Lectures over the weekend will be given by research students and a number of professional archaeologists will present their work and resources. The students are from a number of colleges including NUI Galway, UCD, TCD, GMIT, Sligo IT and Leiden University. Topics under discussion will range from the context of Megalithic tombs to the archaeology of shopping. The lectures will last 20 minutes each and will be followed by a discussion session. Students are encouraged to submit A1 posters on an aspect of their research with a prize being awarded to the best one. A table quiz will take place on Saturday night with prizes kindly donated by the Achill Field School, Abarta Audio Guides, the Discovery Programme, the National Roads Authority, the Institute of Archaeologists of Ireland, Portwest, Charlie Byrnes and Four Courts Press. The table quiz is open to all and takes place in Fibber Magee’s bar which is located on Eyre Square Galway. Sunday morning lectures will commence at the civilised hour of 10am and continue to 1.30pm. Lunch will then be followed by a free tour of medieval Galway with Dr Eve Campbell. This will start at 2.30pm. The AYIA was founded in 1968, with membership open to students from affiliated societies in the various universities, institutes and colleges nationwide. Recent graduates and those new to the archaeological profession are also welcome to join. The governing council is elected each year from representatives of the institution due to hold the next annual conference. The annual conference is the main event organised by the association and is designed to encourage interest in the profession, share new ideas and generate discussion. The lectures this year will all be held in room IT 250, and further details on the conference can be found on the ‘AYIA Conference 2013’ Facebook page.